To me it seems like forever since I’ve been on the blog, with studying for my Midterm soooooooooo many things have happened–it’s been crazy. I passed my Midterm with a C, in my book that is no where near good, but at least I didn’t fail it, and it’s only worth 10% of my grade. Well back to the news, OMG Jeremy Scott (whose also one of my favorite designers, I talk about him here, here, and here), is being accused of plagairizing the prints from his Fall 2013 Collection. He is being accused of stealing the work of Skateboard Artist Jimbo Phillips owner of the brand Santa Cruz Skateboards. Jeremy Scott has not spoken to anyone on this issue, he is remaining silent and I think that’s best, because who knows where this will lead? 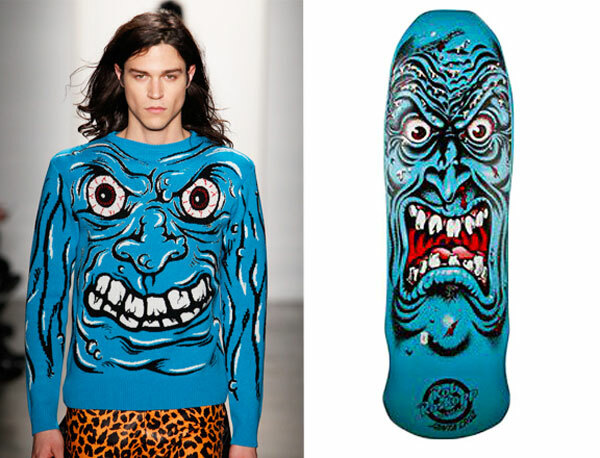 Furthermore, I’ve seen the images and compared Jeremy Scott’s designs to the work of Jim Phillips, their very similar. London-based and Nigerian born fashion designer Duro Olowu has released a collection with JCPenny (now in stores), ranging from $10-$100 all the pieces in this collection are wallet-friendly, and very fashion-forward. Olowu immaucautely mixes prints like no other, sticking to his signature designs, you get the gist of what a Duro Olowu garment protrays for nearly not even half of the original price from his high-end collection. Are you thinking about purchasing anything from the collection? Yesterday I went to the mall and spoke to one of the fashion experts at JCPenny, and she said depending on how successful the collection is at JCP, it might be here for 3 months!!!! Is this good or what!!! 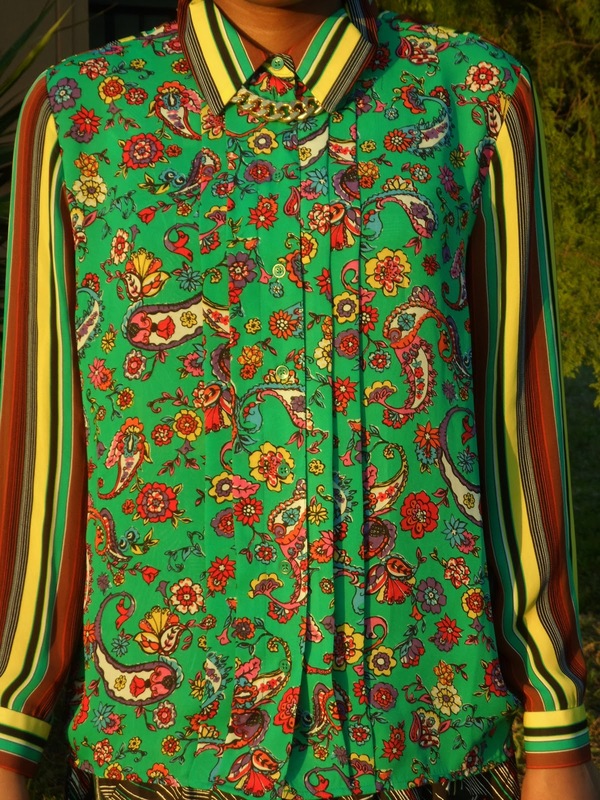 I love the pieces you got from JCP, the colors and prints are fabulous. I'm glad you passed your midterms but sorry it wasn't the grade you were hoping for.